There’s more to romance than you think. Dreaming of that romantic getaway for two, but not so keen on sharing it with a crowd of couples with the same idea? Then we’ve got some inspiration for a romantic European getaway that’ll stand out. Romance doesn’t have to be a cliched, crowded trip to Venice or Paris. Rethink romance this year with an escape to Europe’s stunning rural idylls, where you’ll find the peace and tranquillity and the perfect romantic getaway from it all. Just you, your partner, and the view. Venice may be world-famous for its romantic reputation, but it’s not a moment just the two of you can enjoy uninterrupted. Sharing a sweet kiss beneath the Bridge of Sighs becomes less romantic when you have to wait in line with numerous other couples. 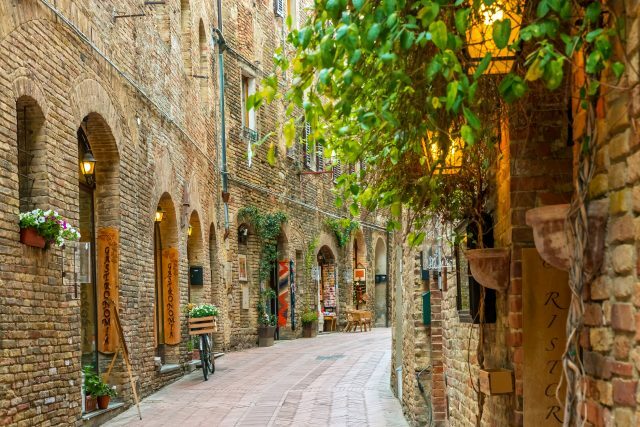 Instead, find the romantic Italian holiday you’re dreaming of in Tuscany. Outside the deservedly famed Florence, you can find tranquil routes winding across the iconic rolling hills, up in to unexpected fragrant forests and along pretty village paths. Tuscany is home to the slow food movement, where you and your loved one can indulge your senses with sumptuous candlelit dinners served at a table reserved for two. A cultured romanticism awaits, where great works of art, literature and scientific advancement inspired by the rolling sun-drenched vistas of the Tuscan hills. For a renaissance romance, look no further. Germany may not be your first thought for romance, but rethink Bavaria and you’ll find yourself in a fairy tale romance of story book levels. Wander the streets of Germany’s best-preserved medieval town and lose yourself in a twist of streets straight from a children’s book: colourful half-timbered houses, tall spires of the cathedral and delicately wrought clocks, lampposts and painted murals to fire the imagination. 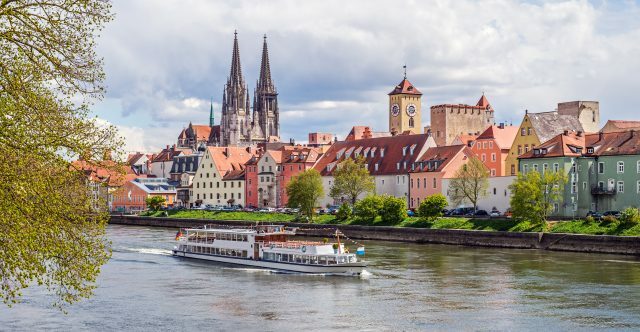 Beyond Regensburg, there’s a host of spa towns where you can celebrate a whirlwind romance with a dip in a whirlpool, or head to the spas for time in the sauna or steam rooms. But don’t just take our word for it: one of the hotels we’ve carefully selected for our cyclists is even called the Romantik Hotel. After all, aren’t the most interesting romances the ones we least expect? Paris may be renowned for its appeal to lovers, but we think the Dordogne is France’s best kept romantic secret. The accommodation we’ve discovered in this region is perfect for couples searching out a romantic retreat, including a converted 11th-century chateau on the banks of the Dordogne itself, where the ancient honeycomb brickwork echoes with the footsteps of history, and a gorgeous villa set in 12 hectares of former farming estate that serves homegrown ingredients each morning. Whether you choose to travel on foot, by bike or along the river in open canoes, the true joy of the Dordogne is the peace of the region; here, you can expect to go for miles encountering only birdsong and the occasional fishermen to intrude upon your time together.